*Preventiva – the network of guards and contacts protecting Karadzic. On 26.01.2005. an anonymous email arrived at Nezavisne Novine ( a newspaper in Banja Luka) which claimed that Preventiva was planning assassinations in Republika Srpska. The author of the email distanced himself from the murder of Bosniaks in Visegrad and even called it “genocide“. He claimed that he was a member of the war Presidency in Visegrad municipality and that he “could not help the poor people who suffered in Visegrad” because the main people in charge were “Brane Savovic and Risto Perisic“. The author also named a few Visegrad Serbs who were supposedly targeted for assassinations: Drazen Perendija, Stojan Papic, Mile Lukic and Mile Peric. Milan Josipovic, former Police commander and Drazen Knezevic, policeman as the leaders for Eastern Bosnia. Policemen Lelek, Goran Nedic, Srecko Nedic, Novak Poluga, Miro Moljevic and ex-policemen Rakovic and Milicevic. For the Sarajevo-Romanija region Milovan – Cicko Bijelica. For the Banja Luka-Posavina region Radomir Njegus and for Hercegovina Zoran Mandic. For financial support, the main persons in charge Brane Smiljic, aka Zika, from Visegrada; Pecikoza, former director of a firm called “Terpentina”;former director of Dam “Visegrad” Marjanovic. According to the letter all important meeting were held in Zlatiboru, in the apartments of Branimir Savovic, Brane Smiljica and Riste Perisica. The core of the organization are Branimir Savovic, Radomir Njegus, Risto Perisic, Cicko Bijelica, Milan Josipovic and Momcilo Mandic,who was in charge for contact with the State Security of Serbia. 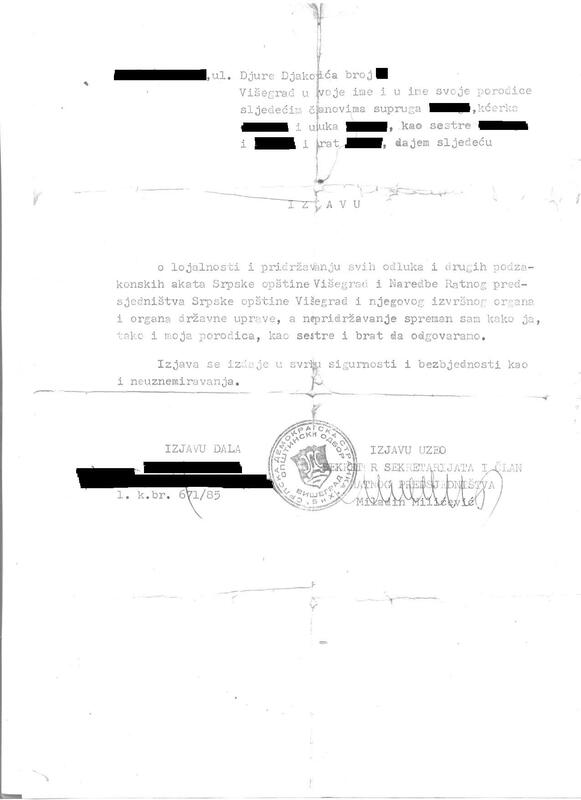 The letter also states who is in charge of supplying the organization with weapons: former commander of the Visegrad brigade Luka Dragicevic and Milan Kosoric, who during war-time supplied Serb Democratic Party with weapons from Serbia. Persons in charge for logistics: Radoje Tasic, journalist from Visegrad, and lawyer Radomir Tanaskovic. 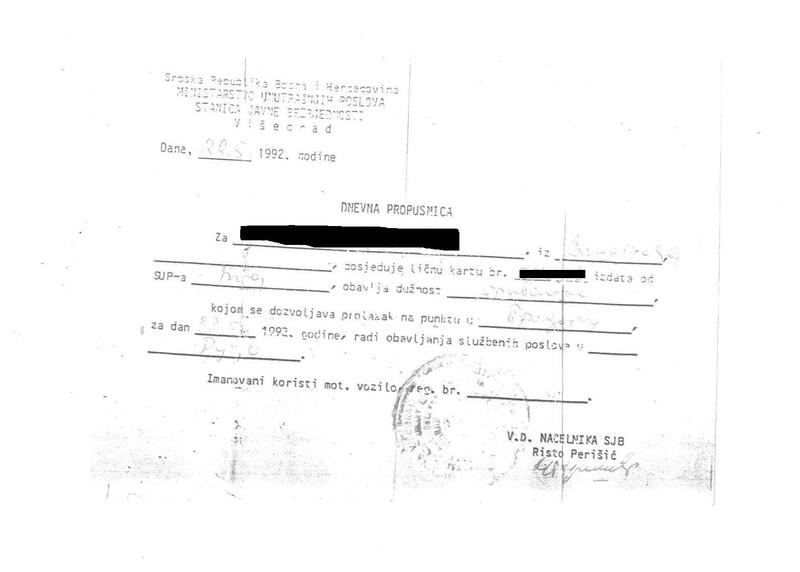 As for the author, at the end of the letter he claims that his role during the war was to gather material support mostly from outside of Bosnia. He mentions that he worked with Miroslav Kojic. He also admits that he is writing this because he found out that Branimir Savovic and Risto Perisic are planing to plant him an indictment at the Hague so as to save themselves. He also notices that not a single member of the war Presidency has been indicted for war crimes. VGM Editor’s Note: On 8. 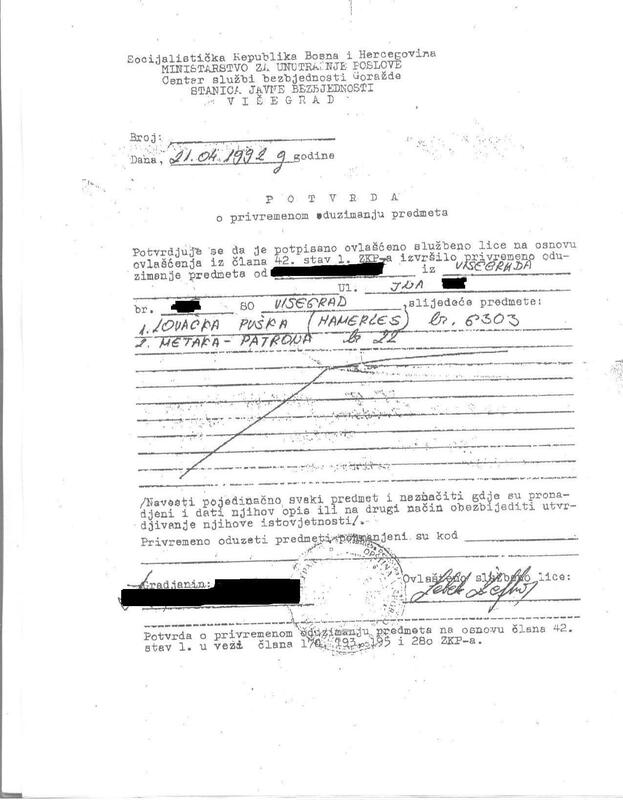 April 2005 an email signed by Milan Lukic arrived at “Nezavisne Novine” in which he blames some leading Visegrad Serbs for killing his brother Novica. This letter where he calls Savovic and Perisic “communist scum”, is not important because of its content as it is for other reasons. Namely, thanks to this email, Hague investigators were able to track down Lukic in Argentina. And also “Nezavisne Novine” published that this letter and the last letter giving details about “Preventiva” came from the same server. So most certainly Lukic is the author of the previous email. *Full letter in Bosnian here.